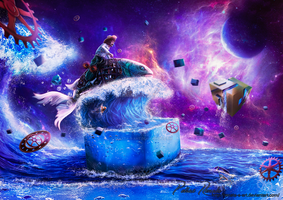 Wow, lovely imagination and so inspiring artwork! This is awesome and dandy!! hehe! Love your comment and yes René Magritte is the one! thanks! Wonderful artwork, great surreal details. Ta compo est superbe Brice !